In Turin, you only need to tell your taxi driver “Take me to the skyscraper” to end up at the impressive Innovation Center of the Intesa Sanpaolo bank, rising in the heart of Turin, with a fine view of the Turin hills and the Italian alps. 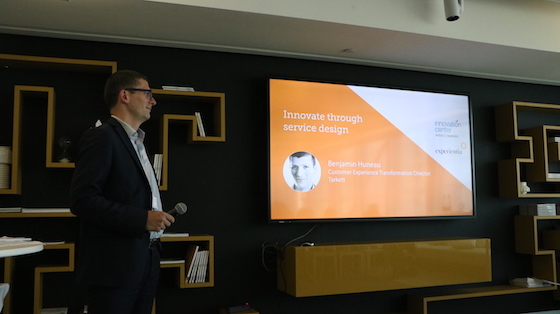 Here on Friday the 13th, on the 31st floor, Intesa Sanpaolo and Experientia hosted a vibrant afternoon of talks on service design in industry, moderated by Fabio Salierno of Intesa Sanpaolo’s Experience Design Lab and Mark Vanderbeeken of Experientia. With speakers from Swiss Re, Autogrill, IBM, Cisco, Tarkett and Intesa Sanpaolo discussing how their companies are conceiving of and using service design, the Innovate through Service Design event – part of Turin’s Design of the City week – was a thought-provoking afternoon for anyone wondering if service design is relevant for their industry. Such a line-up of six speakers who all drive people-centered innovation at very large companies is quite exceptional, and the audience was much inspired by them discussing opportunities and challenges, successes and pitfalls. Here are just some of the topics discussed by our expert panel. 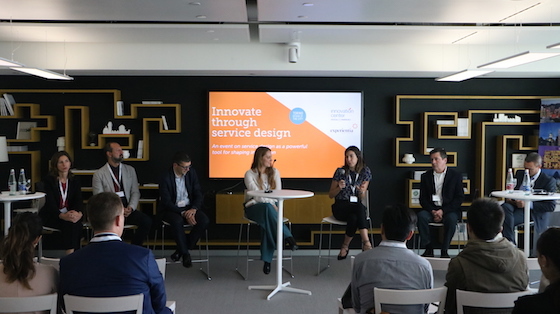 Whether change comes from the bottom up, as in Swiss Re’s introduction of behavioral economics into projects, or from the top-down, as Tarkett and Cisco seek to introduce a new approach throughout the entire company, we were reminded that service design is a mindset. Before service design can really impact a company, it needs to be a widespread approach, in which people are given the freedom to try new ideas and to fail. 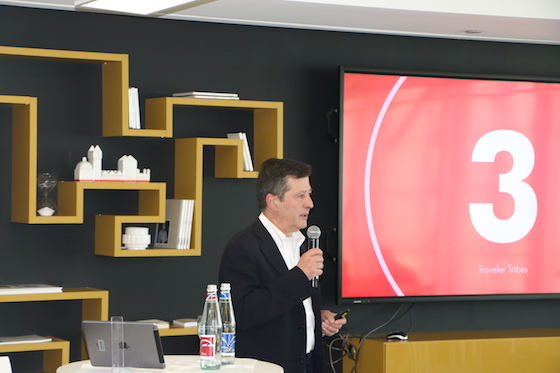 Although, as Tarkett‘s Customer Experience Transformation Director, Benjamin Huneau, pointed out, it’s also important to “fail smartly” – in a learning approach that seeks to understand why something didn’t work, and continually improve. Another common theme of the speakers was change agents. Champions of the new mindset are important at every layer of the business, from the C-suite to the grassroots. 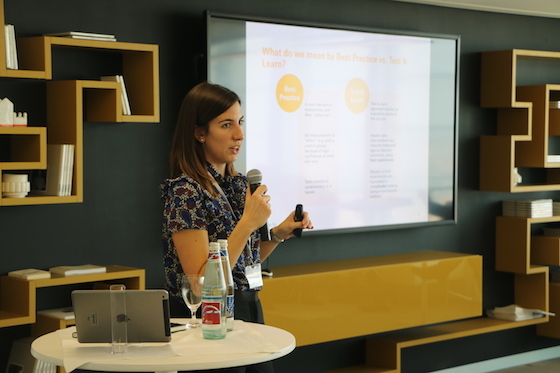 When fielding a question on how to become a bottom-up change agent in one’s own company, Francesca Tamma, Behavioral Research Consultant and VP with Swiss Re, had some practical advice. Find a pain point in your company you think service design will impact, create a small budget to do it, test against a control group, and show your decision makers how you’ve made a quantitative difference. At Cisco, as the HR department sought to transform itself into a service, it decided to treat the rest of the company as their client. 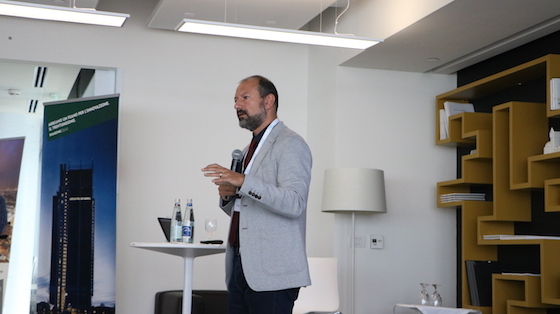 Gianpaolo Barozzi, Cisco’s Senior HR Director, described how the transformation began with the realization that they had to go from an all-knowing department that had the final say on personnel matters, to a service to staff, one which didn’t necessarily always have the final answers. A clear manifestation of this was abolishing performance reviews, with the recognition that they didn’t really work, and were just one more paper hoop to jump through. Gianpaolo and his team worked extensively on cultural transformation in the organization, exemplified by their People Deal. 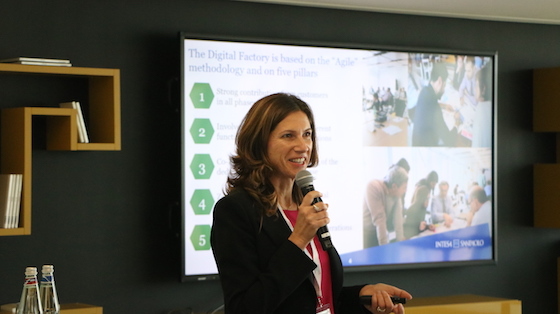 Instead, Lara Ermacora (Manager, Customer Engagement & Design Practice Lead Italy) described how at IBM, service design started off as an internal service, and is now being extended to their own clients. At Intesa Sanpaolo, Elisa Maero, who is one of the coordinators of the bank’s Digital Factory unit, described the role of service design and people-driven processes in this internal unit that brings together employees from throughout the bank to work on specific projects and to completely rethink processes, after which they go back to their work place where they can be agents of change. 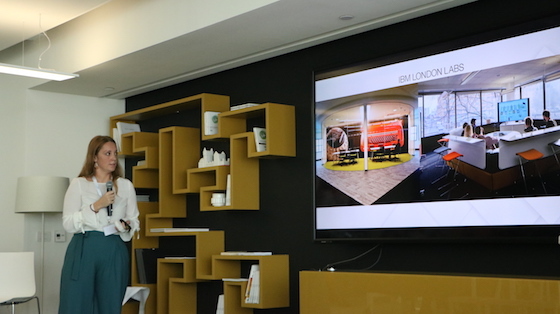 Stefano Carmi, Group Design & Architecture Director at Autogrill, talked about the importance of going from selling food to selling experiences. In an effort to change their internal culture and move from an approach driven by operations, they developed in-depth, research-based personas of their six “tribes” of customers. At Tarkett, a similar move is underway – instead of selling flooring products to customer, Tarkett is seeking to transform the company into the “easiest flooring company to interact with in Europe”. This has involved going out into the field to talk to all their customers, from architects to wholesalers to installers, and exploring their pain points and issues with the company. Anna Meroni, Associate Professor of Service Design in the Department of Design at the Milan Polytechnic, was in the audience, and in our round table discussion challenged the panel members to define service design. 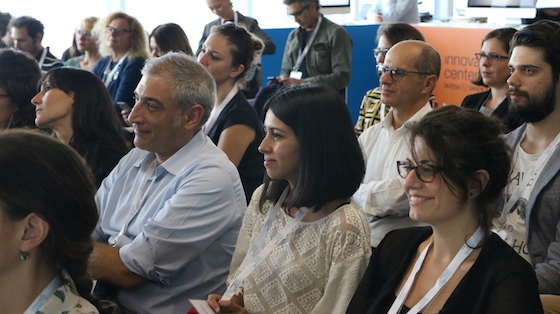 She noted that the approaches in use at the different companies included behavioral economics, design thinking and persona modelling, and asked the panel what kind of disciplines the Milan Polytechnic should be teaching the next generation of service designers. While not strictly part of the agenda, Pepper the Innovation Center robot also made his appearance at the Innovate through Service Design event. Pepper chatted to attendees in Italian and told us his colleagues are very interested in new technologies and are “molto simpatici” (very friendly). Pepper lives on the 31st floor, and is part of the Innovation Center’s ongoing interest in artificial intelligence. [Disclosure:] Experientia is working intensively with Intesa Sanpaolo on innovating products and services for both the bank’s customers and staff. We have also collaborated recently with Tarkett and Autogrill.